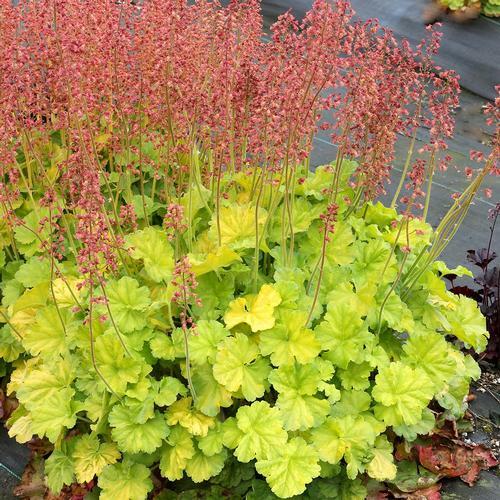 We had a hankering for a solid colored green heuchera because simple is classic. The 'Northern Exposure' part means super cold tolerant. This is a great lime green that stays lime all season. Frilled foliage and red flowers.